Two weeks ago I had the chance to sneak away for a few days to attend a writing conference in Grand Rapids, Michigan. 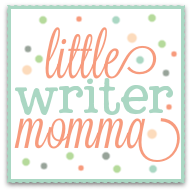 I try to attend a writing conference at least once a year as a way to continually cultivate my writing life, but as a mom with three young children it can be hard to sneak away. It requires planning, and planning and more planning...and once the planning is done there is often guilt to reckon with-- about leaving your husband with the kids all weekend, about leaving the kids for something that feels so arbitrary. But, despite the personally inflicted guilt, I went and it was good. I started writing this post shortly after the conference, and of course got sidetracked...by homework, and house projects, meal planning and laundry. By the day to day schedule, and all that it holds. I feel a little bit guilty even saying that. I am a woman who is fully committed to raising strong daughters, and never want to pull a momma away from one of her most important roles, but I do also believe that we cannot allow these creative parts of ourselves to die in the process of parenting and that there is a healthy way to integrate both into our lives. Perhaps this is a deep issue for me because my own mother never pursued interests or passions of her own. She still doesn't and without getting into too much detail, seems sad because of it. I don't want my girls to struggle in the same way. I want them to know that I love them deeply, that I am completely there for them, but that I also have creative passions that are part of my day to day life. I want to be a healthy role model of how to pursue creative passions in the midst of raising children-- so that they too can do the same thing some day. 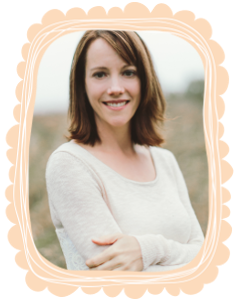 I have much more to say on the topic as a mom who is struggling through her own confusion about how to fit writing into my life in way that does not conflict with my role as a mother, wife, daughter, and friend. Ava raced down the sidewalk on her scooter trying to "beat me" down the street and shouting after the car, "Bye mom!" she shouted! "Love you! Have fun!" Her younger sisters, who I could see clearly in the rearview mirror, stood at the top of the driveway, the littlest clinging to dad's shoulder, the other waving frantically, barefoot, in her black and white sundress. She had just squeezed me tight and with big puppy eyes told me I was Not.Allowed.To.Go. I must say, if goodbyes are good for anything it is that they serve as a reminder that I am, after all, dearly loved by my wee ones-- you know the same little ones whose complaints about green beans at dinner and groans about bedroom cleaning can leave you wondering at times. I was starting out on a 340-mile drive from Buffalo to Grand Rapids, Michigan for the Breathe Writers Conference. This marked the 9th year of the conference, and it was my second time attending. It's a wonderful conference organized by a great group of women from Grand Rapids whom I met at a larger writing conference years ago. It is intimate, unintimidating and always inspiring. There is none of the scary, big-shot editor stuff that you might find at larger conferences and attendees are genuinely kind, and in many cases trying to figure out how to get started or improve their own writing craft without competitive edginess about who is getting published where and when and how. The guilt-filled goodbyes to my three precious girls were, by far, the hardest part of the trip...it's good for momma to head out once in a while, but as is the case with almost everything in motherhood you wonder if you are doing the right thing, at the right time, and in the right way. Maybe I should be doing these things when they're older? Are they going to feel like I'm deserting them? Is this good for them? Bad for them? Ahhh! Should I go? Should I stay? I should go...stay...go...stay...go? I knew they were in completely capable hands. More than capable hands. Nanner (which is what we call Scott's mom), was in for the weekend, which meant that there would be lots of cupcake baking, extra kisses, tickle sessions, coloring and lots of cake decorating videos on You Tube. In Ella's words, "Nanner is going to be the Mom this weekend!" In retrospect there is no doubt that it was the right choice to go. I left home hoping to be re-inspired in my own creative life, and returned brimming with ideas, and renewed motivation. At times my writing life and pursuit of creativity can feel like it gets buried at the bottom of the toy bin for months on end, hidden beneath the balls and dolls, the jump ropes and plastic cars that have been thrown on top after a frenzied play session or a string of busy weeks. You get the picture and many of you are living similar lives. You used to do X, Y or Z before you had kids, a house and more family responsibilities than you could have imagined. Whatever it is you used to create, you did it and you loved it and the act of doing it filled you up in some way. But somewhere, along the way, the mounting pile of laundry, carpool rides, meal prep, grocery shopping and long domestic to-do list began casting shadows on your creative ideas until you could no longer see them at all. Steven James, best selling novelist and author of more than 40 books to date, was the keynote speaker at the conference. He talked about "buried" creativity in his closing keynote speech at the conference and asked a question that will forever stick with me. While he didn't talk about it being buried beneath toys or a pile of laundry, his point was compelling and relatable on many levels. "What is in your writing graveyard?" he asked. For me it's the stories, book ideas, silly poems I've written but dismissed, essays I've started and deemed not worthwhile, ideas scribbled on scraps of paper or tucked away in a dark corners of my computer, undeveloped and unpersued, some of them lay forgotten for lack of time, others I dismissed because I felt like they were not good...not the product they had been in my mind. To expand the dialogue here, What is in your creativity graveyard? What if you pulled those ideas out? What if you started to jot them down? What if the act of writing down the bad ideas, or bad drafts, eventually leads to something better and better? What if, right now, while you're home with your kids you use the cracks of time to just practice your craft...like a musician who must spend hours and hours playing their instrument or the figure skater who spends 50 hours perfecting that complex triple spin jump that eventually looks flawless. What if something beautiful could come from your dusty, nearly forgotten ideas? Faith in myself that I have anything worth saying, worth writing, worth creating. But, if there was one big take away for me at this little faith-filled writing conference on a beautiful fall weekend in western Michigan, it was a reminder that creativity isn't actually just about faith in yourself...it's about faith in something bigger than your self. 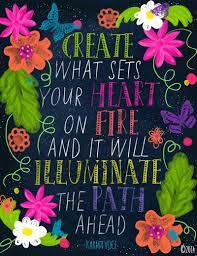 It's about faith in a creative God who breathed a yearning for creativity into our souls. That our words, pictures, music, and art can be reflections of Him in a world that desperately needs life, light and joy breathed into it. So go forth and resurrect your own buried stories, songs, drawings and dreams. Give yourself over to the process, and permission to engage in the first place. Even if you're not quite sure where it's all supposed to go, let's take the next step and start trusting that God will divinely illuminate the way. I love it when you write! Thank you for the reminders here and the freedom to pursue creativity. Right there with you! Thanks for spurring me on! 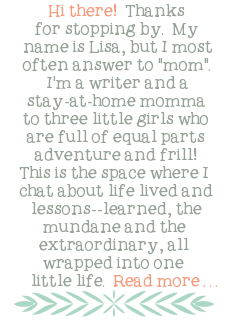 I loved this post, Lisa. Keep writing and inspiring us!